Other Products by Musashi. Search other Testosterone Supplements products. 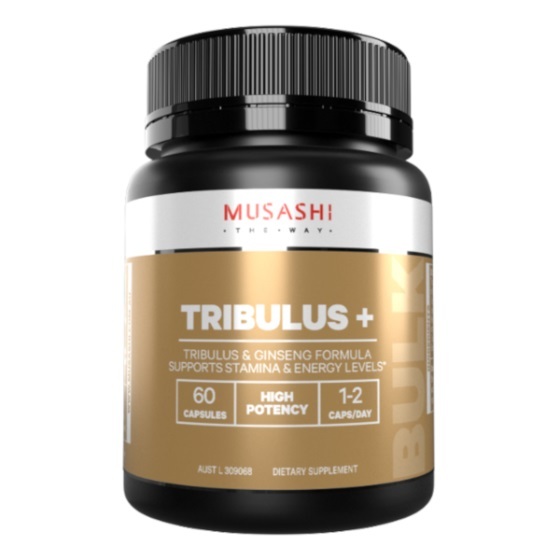 Musashi Tribulus Capsules contains two potent herbs that work exceptionally well together. Tribulus is well known for its beneficial effects on testosterone levels, particularly after the age of 35-40 years. Panax Ginseng is touted as one of the strongest herbs in the ancient system of healing called Chinese Medicine. Tribulus terrestris has long been popularised for its testosterone enhancing benefits. However, it appears that this effect only occurs in aging males, not in young men 1,2. This puts tribulus into the category of testosterone regulator, in that it may only increase levels when they are low. Despite this, there are still many benefits to supplementation with tribulus for young men. A study of trained male boxers showed that tribulus supplementation reduced muscle damage and boosted anaerobic performance. Researchers noted a decrease in IGF-1 binding protein 3, which increases the free amount of IGF-1 in the body. 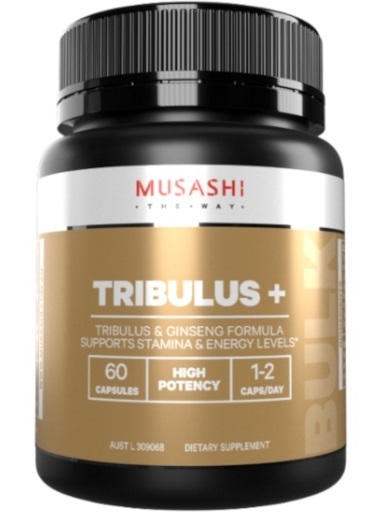 As IGF-1 is anabolic, this indicates that tribulus may still support muscle growth in younger men 3. Panax Ginseng (Korean Ginseng) is one of the most potent herbal medicines on the market today, having powerful tonic and adaptogenic effects. Research has so far revealed that supplementation can reduce perceived exertion during exercise, attenuate delayed onset muscle soreness, increase insulin sensitivity and reduce inflammatory markers 4,5. 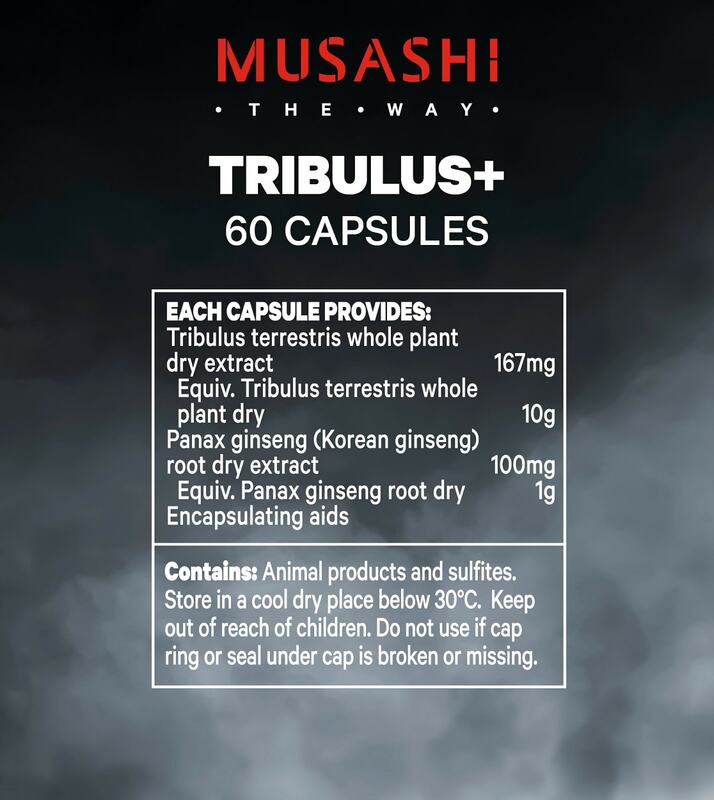 Musashi Tribulus Capsules is a fantastic product for all ages. It is especially helpful for supporting training intensity, reducing muscle soreness and supporting testosterone levels in aging males. OTHER INGREDIENTS: Encapsulating Aids, Animal Products, Sulfites.